My friend Becky and I decided to get the kids together for crafts once a month. 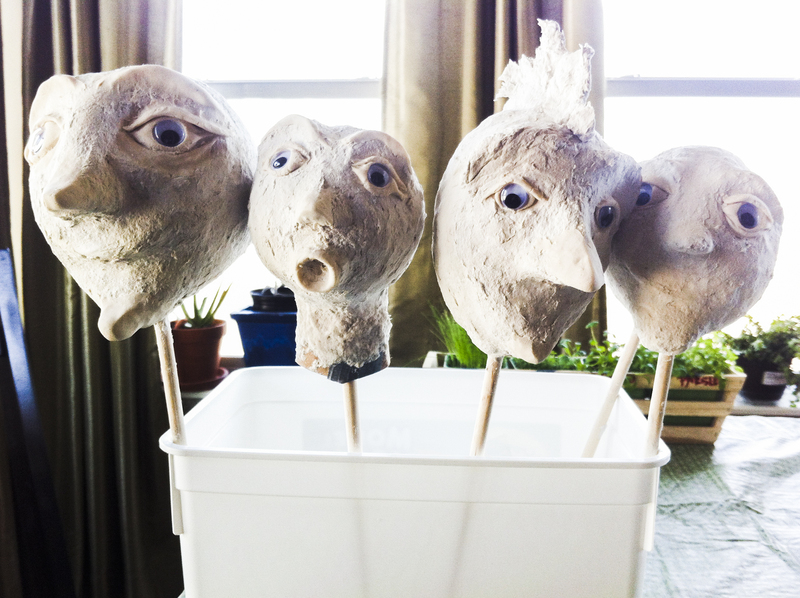 I though it would be super cool to do a puppet theater! 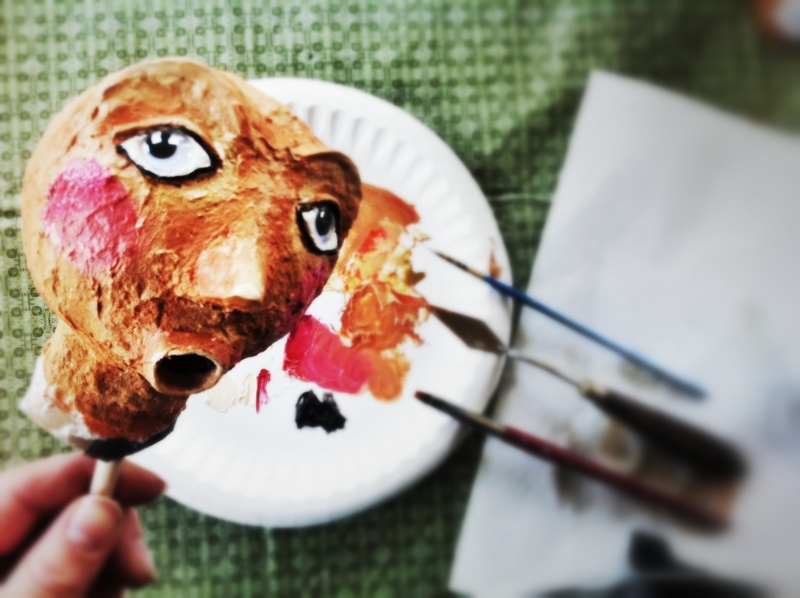 I vaguely remember seeing really cool paper mache puppets in an old craft book that my mom had when I was little… Thanks to the internet, it was super easy to find instructions on how to make them. 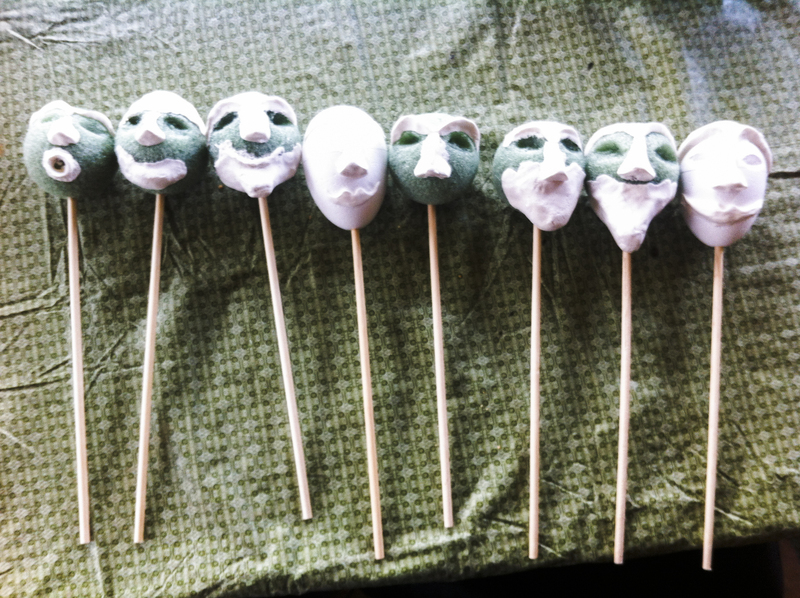 Others were using different methods to create facial features… I really like using the Model Magic. 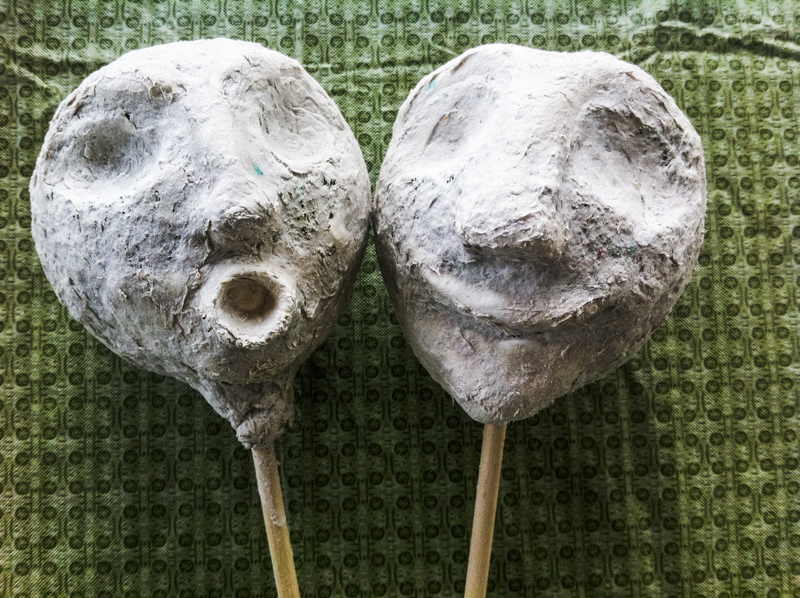 Small Wooden dowels (I used 1/4 inch x 12 inch), Styrofoam balls (for heads), exacto knife, Model Magic (air dry, light weight clay), Paper Mache mix (I used Celluclay), water, paints, glue, and puppet making supplies such as hair, eyes, etc. + fabric to make clothing. 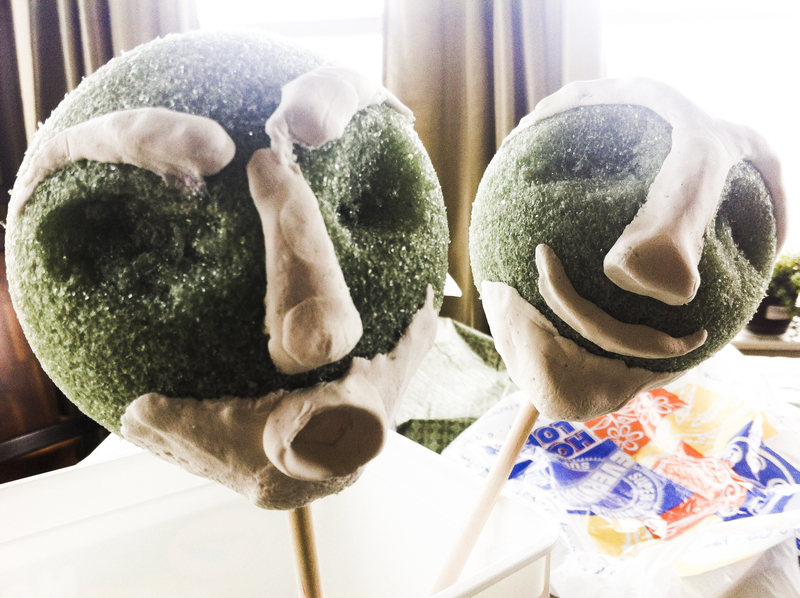 The first thing that I did was pop the Styrofoam balls on the dowels and then add some facial features to the Styrofoam ball using the Model Magic. 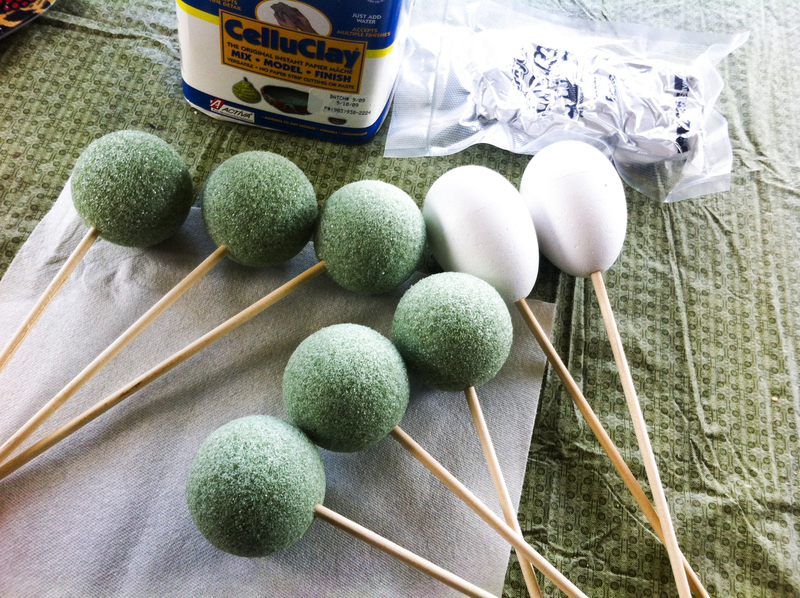 This is super easy clay to work with, and comes in handy for many different projects. You can add eyebrows, a nose, ears, a chin.. whatever you like! 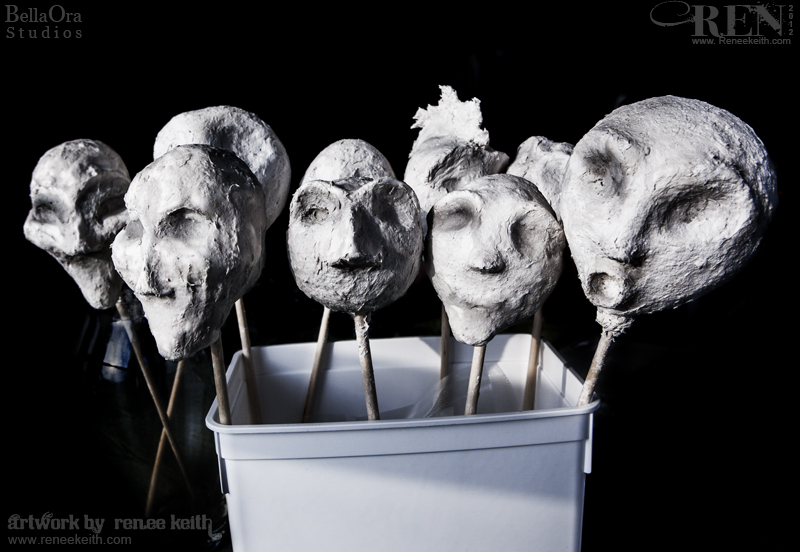 You will end up covering this with paper mache… so don’t worry about perfection. This usually takes around 24 hours to dry completely, so if your patient, you can wait a day to do the next step. 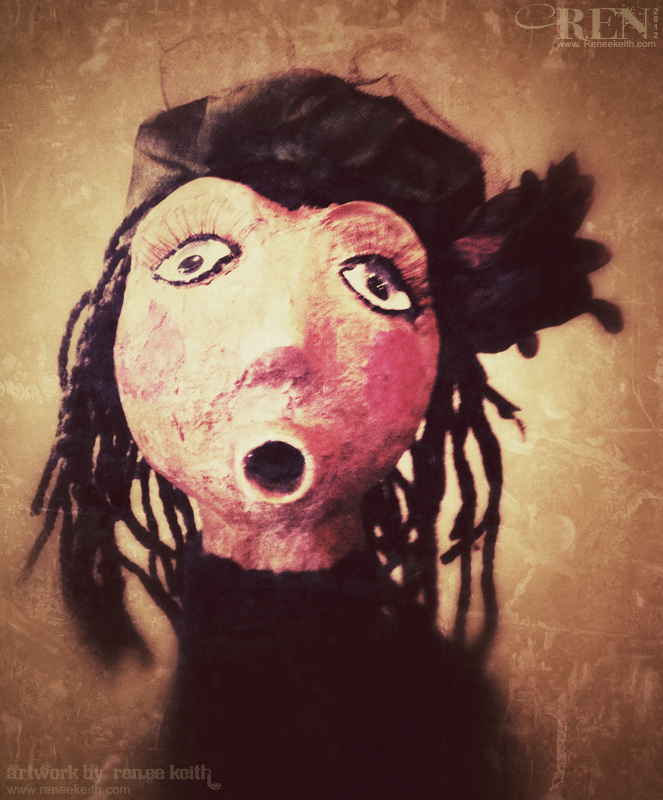 I just went ahead and put the paper mache over it without letting it dry. 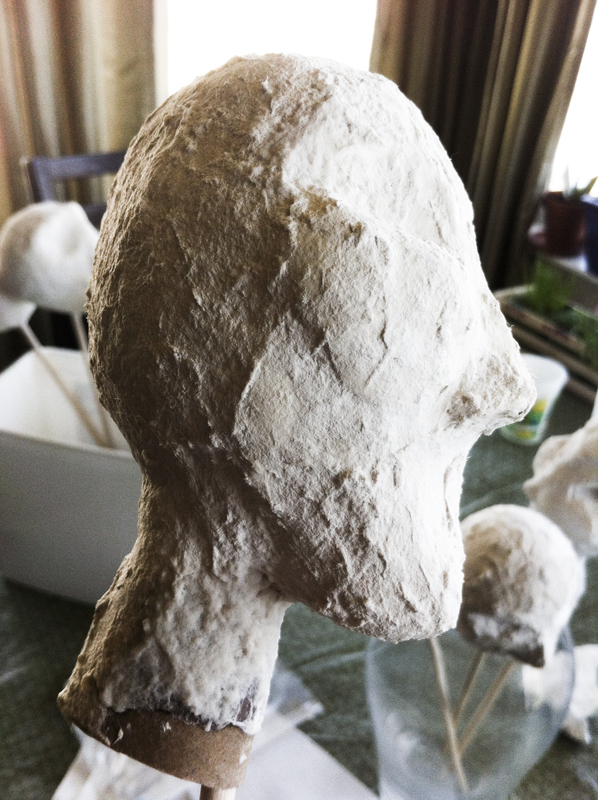 The next step is to cover the head with paper mache. Follow directions for the Celluclay to create a nice mixture of workable clay, and then spread a thin layer over the styrofoam and model magic. 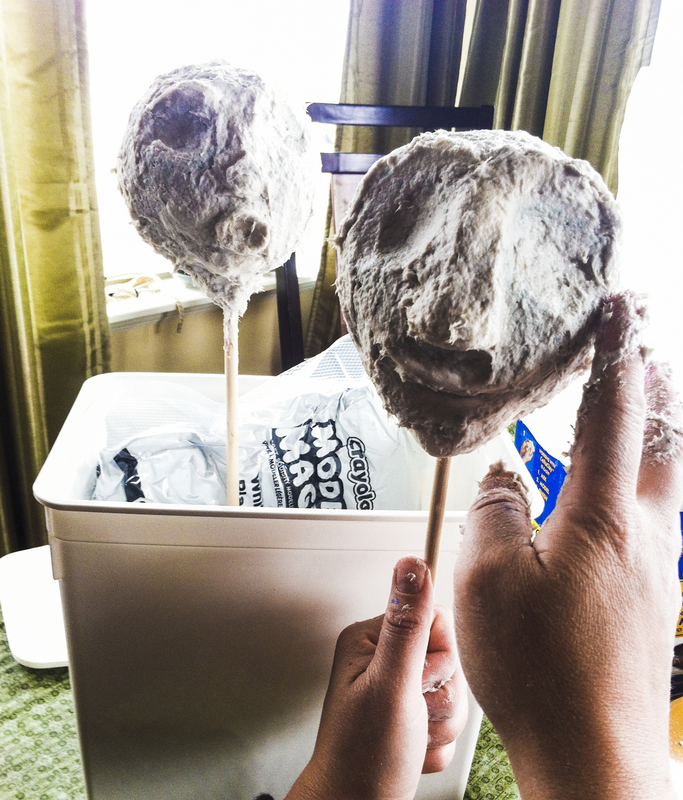 After drying for a little white, you can smooth it out with your fingers a little bit while the paper mache is still wet. These can take another 24-48 hours to dry, unless you use a fan, or blow dryer to speed up the drying process. I have a little hot blow gun that I use. After all, I can only take up the kitchen table so many days in a row, hehe. After letting these dry a few days, I decided it would probably be good to add a neck so that it would be easier to attach clothing later… and what better than a toilet paper roll! I cut one into about three circular pieces, and cut the circle open to angle it tot he puppet head (make sense?). Then I duck taped it back together and paper mached it on. Check out the example image to the left. As you can see, I left a little bit of the toilet paper roll showing, which I could cover, but it probably doesn’t matter since the clothing will cover it up. 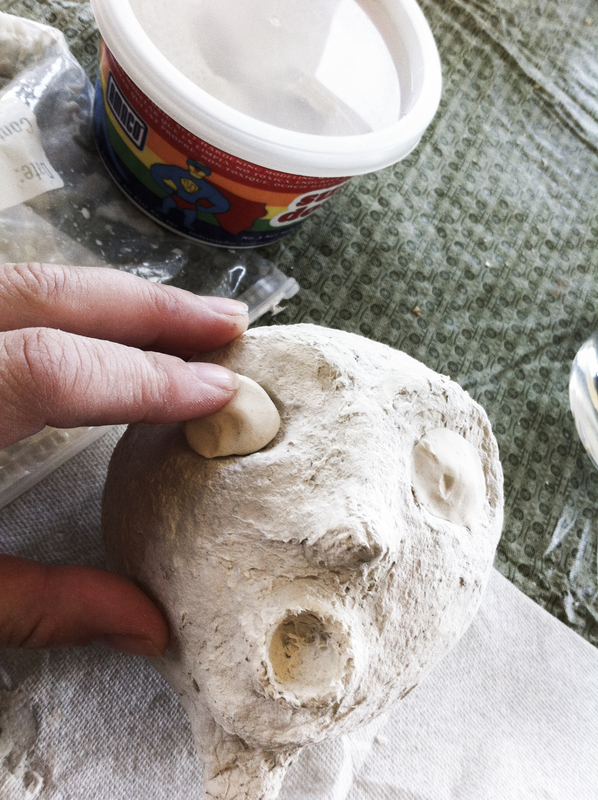 After spending a few days looking at eye options… I decided to use some clay to fill in the eye sockets, and create eyelids. While wet, I stuck in some cute little plastic googly eyes. I also added a few more details, smoothing out some of their nose and chins.